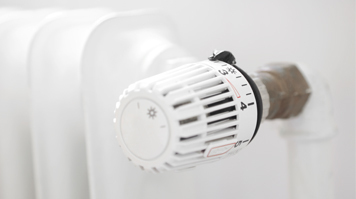 Ground source heat pumps are seen by many as the heating and cooling solution for the future. The technology is not especially complex – buildings take advantage of the temperature underground to boost efficiency and reduce the operational costs of running their heating and cooling systems. They do so by running liquid underground, allowing the earth’s natural temperature to heat or cool it before using the newly heated (or cooled) liquid to alter the building’s own temperature. These systems have been installed around the world and have already proven their potential to help when it comes to tackling the economic, social and environmental challenges of heating and cooling the planet’s buildings. However ground source heat pump systems (GHSPs) don’t perform as well as they should, and there are still further efficiencies to be gained. LSBU’s Metkel Yebiyo is working on the solution. Metkel ‘s research is supported by prestigious external funding from a partnership between the Engineering and Physical Sciences Research Council (ESPRC) and the UK Energy Research Centre (UKERC). Metkel’s work centres on the Keyworth Building at LSBU, and experimental testing of the 500kW GSHP system installed within it. The aim is to investigate the practicalities of how GSHP systems work ‘in real life’, as well as the relationship between the ground temperature and optimising control strategies. Metkel has also modelled a GHSP system with the widely used software package called Transient Energy System Simulation (TRNSYS). It simulates the behaviour of transient systems such as GSHPs, and Metkel’s model is capable of investigating control algorithms that will use ground temperatures and the energy profile of the building served by the GSHP to predict the best storage and recovery strategies to maximize system efficiency. After extensive analysis and interpretation of the data, Metkel has been able to identify generic problems with the control systems and approaches that are routinely adopted for GSHPs. It’s a breakthrough that could have considerable impact, helping businesses to make their heating and cooling even more environmentally friendly, and saving millions into the process. The findings from Metkel’s research provide useful insights into the impact of a number of interventions, including how an updated installation method and improved control can improve the performance of ground source heat pump systems, providing a great opportunity to work with the government to encourage coordinated research and action to develop and demonstrate innovative renewable technologies.